Looking for that perfect DSM part to keep your vehicle running like new? You’ll find it at Miller Import Parts! We stock the largest selection of new and used DSM auto parts in the area and are happy to help you locate exactly what you need for your specific model. Finding the right DSM part for your vehicle shouldn’t be a never-ending quest that takes you from store to store. Instead, when you visit Miller Import Parts, we’ll make sure that you’ll never have to visit another auto supply outlet ever again! Whether you’re trying to get the last few thousand miles out of your Eclipse or have recently discovered that a part under the hood of your Eagle Talon is faulty, we’ll help you pinpoint exactly what it takes to keep you on the road. From model-specific parts to general components, we stock it all at a price you’ll be happy to pay. We have an expansive selection of cars, with over 100 of them being DSM-specific models. 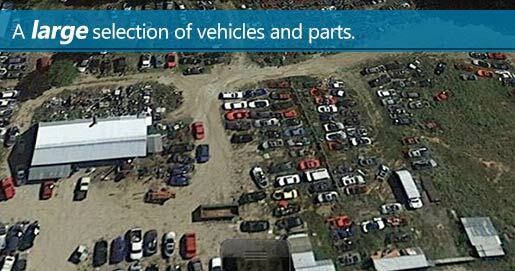 We offer competitive pricing when buying your used, 2000+ model vehicles. We specialize in DSM parts, including Mitsubishi and turbo Eclipse. We have over a decade of auto repair experience under our belts. We’re proud to serve Kannapolis, NC drivers to the highest levels of satisfaction.